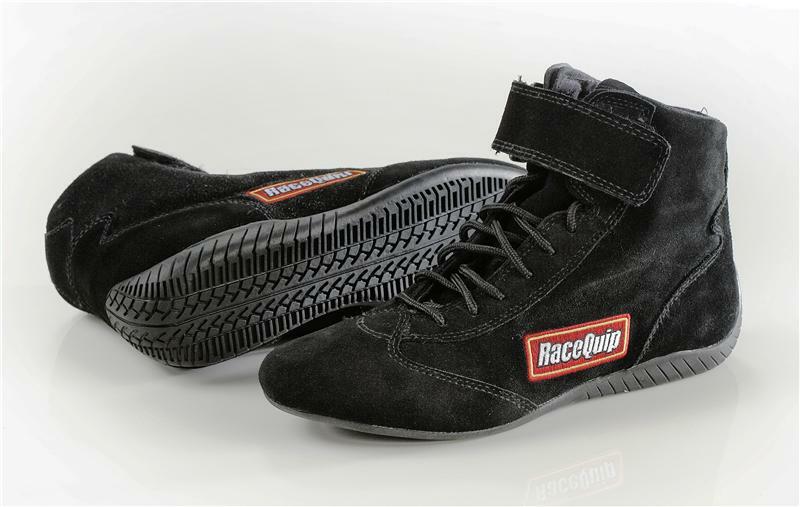 The RaceQuip 303 Series SFI racing shoe provides extraordinary value. 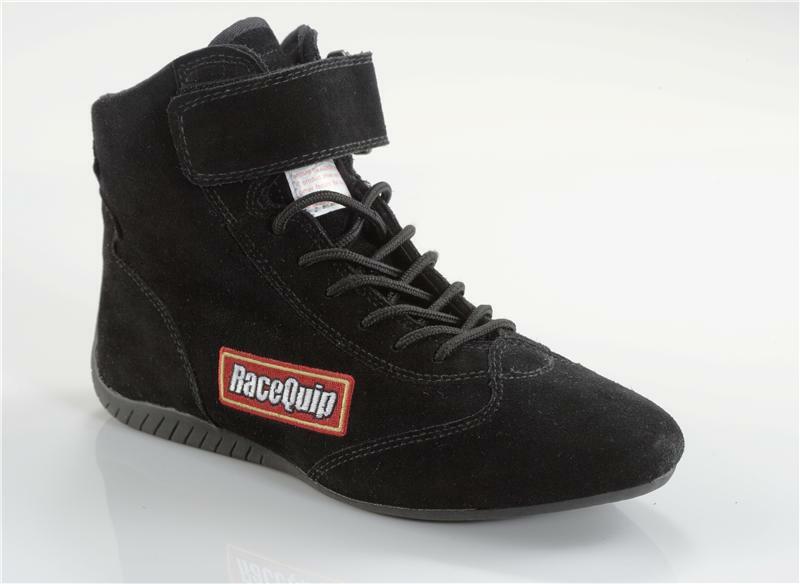 These shoes feature a soft suede leather outer layer coupled with a flame retardant Pyrovatex® liner and padded ankles. The unique Achilles flex opening in the back of the shoe allows easy foot extension for full-throttle action. 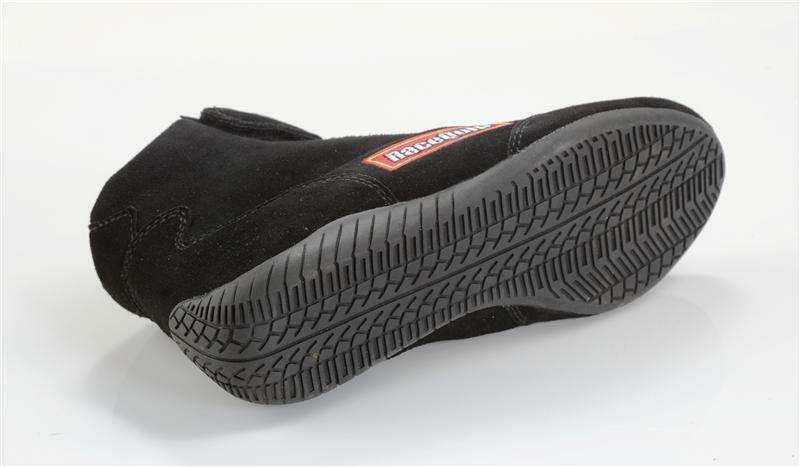 The durable construction features a reinforced lace area, double-stitched seams and a molded rubber sole that rolls up the back of the shoe to provide extra support for your heel while driving. Exceeds SFI 3.3A/5 rating. Available in black, sizes 8-13.